Description of "भारतदुर्दशा ( Bharat Durdasha ) (eBook)"
Bharat Durdasha is a hindi Drama by Bhartendu Harishchandra published in 1875. Bhartendu Harishchandra (9 September 1850 – 6 January 1885) is known as the father of modern Hindi literature as well as Hindi theatre. He is considered one of the greatest Hindi writers of modern India. A recognised poet, he was a trendsetter in Hindi prose-writing. He was an author of several dramas, life sketches and travel accounts; he used new media like reports, publications, letters to the editor, translations and literary works to shape public opinion. 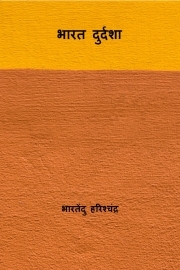 Reviews of "भारतदुर्दशा ( Bharat Durdasha ) (eBook)"